There is one main sleeping cabin with capacity to sleep 8-10, a second cabin for lab work (sleeps 4-6), and a cabin with kitchen facilities. The wetland lowlands of the East Bay coastline support a high density of breeding Sabine’s Gulls, Arctic Terns, and shorebirds. A research camp was established here in 1997 on the south shore of East Bay to study the ecology of these birds. Ecological research has been undertaken at this site annually since that time.  Pilot site for broad-based ecological monitoring under the Circumpolar Biodiversity Monitoring Program. Monitoring population, breeding, demography, and migration of shorebirds, sabine’s gulls and arctic terns. A 16′ x 24′ sleeping cabin and a 12′ x 14′ sleeping cabin. A 16′ x 24′ kitchen cabin.